The day has finally arrived. 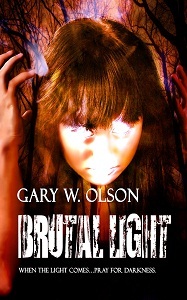 Brutal Light, my debut dark fantasy novel, will be published tomorrow, 12/1/2011. You are, no doubt, filled with questions. Possibly also turkey, or some other post-Thanksgiving foodstuff of choice. Read on, to learn where you might acquire a print or electronic edition, and some sales that will be going on. First, let me cover print editions, for those of you who desire the paper. 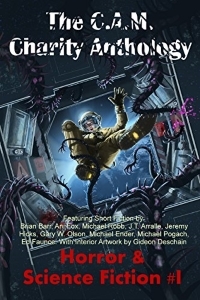 There will be no hardcover edition; paperback editions will be available from Amazon.com and BarnesAndNoble.com. Note: they are not currently, as of this writing, there, but the pre-order links should be up before the week is out. Print editions should be available for shipping by mid-December. Also note: they may not be listed for the same price, for reasons I can’t control. I recommend you check both and pick the lowest-priced one. You can also go to any brick-and-mortar bookstore that does special ordering for its customers and have them special order the book for you. Next: Kindle editions. These are available from Amazon (no surprise). In fact, the Kindle edition of Brutal Light is already listed here. But what of the Nook, I hear you cry! What of iTunes? What of other sellers? A Nook edition will be forthcoming from BarnesAndNoble.com, and I believe an edition will be available through the iTunes store before the year is out. I’ll be keeping an up-to-date list of all these vendors and links here, and will be announcing them as they come in on my blog and in my newsletter. Lastly, I am working on the all-Semaphore edition, and will be unveiling it on YouTube as soon as the monkey learns not to go off-script.